DEP reviews from day one at Sled Island Music and Arts Festival in Calgary Alberta!! Days two and three coming up. KEEP CALGARY AWESOME! I headed into the deep confines of Calgary's 'Distillery' on Wednesday night for the first time, having seen all the pics of previous years with drummers scaling the concave dome above the dance floor. My expectations were pleasantly confirmed. I grabbed a Mill St. and took it in as the club became hotter and more packed than I ever imagined I could stand. But I did stand, held the underground and here are my highlights for a night of music that changed my life. OK people, I am about to disclose what I am not sure a lot of people know or understand. And to do so makes me feel gitty and somewhat perplexed, but I must I must...Because I believe it to be true and it is F-ING AWESOME. LEGS = TIMBER TIMBRE. No seriously. 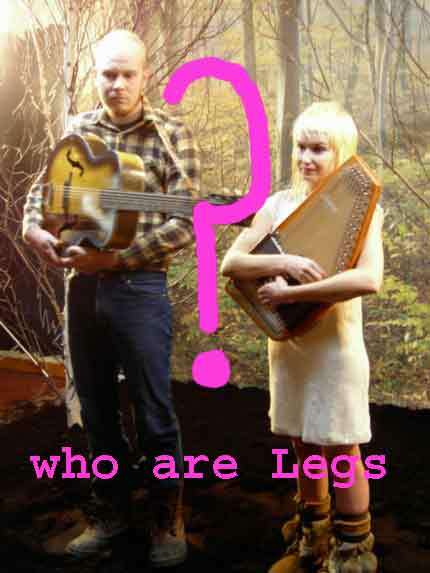 Look up the band LEGS from Winnipeg on the internet. Do it. not much hey? 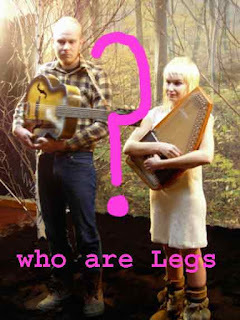 Now go to sledisland.com, and read the description of LEGS and look at the picture. no chick. no legs. Now go to the link provided by the festival myspace.com/summeroflegs. An entirely different band than the openers on Wed. night at The Distillery. The band I and maybe 50 others who came early enough saw was a trio fronted by a lady. I was roaring, hooting, and cheering when the band called 'Legs' played 'We'll find Out' from Timber Timbre's self titled album. Had no-one noticed that Timber Timbre entered the room and was playing their own music heavy style with an interchanged line-up and new drummer to an unsuspecting crowd. IT WAS AMAZING!! The deep and powerful vocals catapulted by slow weaving of guitar and drums was transformed into grinding rhythms and then back again. Up and over, in and out. It was a merry-go-round of true grit and soul filled rock. I have no other conclusions and no other way to explain what I witnessed but to thank Exclaim!, the band and the festival in this little review for an epic start. LEGS? TIMBER TIMBRE? Who ever you are, thank you. By the time the Dum Dum's came on the club was packed and the guy next to me says "yeah whatever, I saw the Donnas 10-15 years ago'. My response: "I know the comparison, thanks." 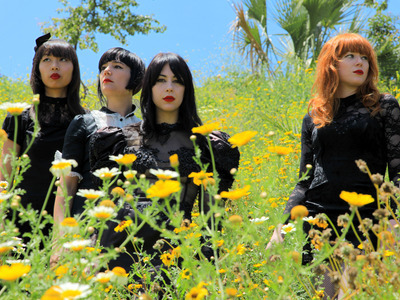 Just because you are a highly polished four female band that can pull off a very tight rock set to a pleading and sweating crowd doesn't mean you are or have to be tied to what another group of wicked chicks did over a decade ago. However they may have influenced the band, The Donnas and Dum Dum Girls are two different creations. And thank goodness for that because it is 2011 and I was front row for head bobbing rock and roll good times. I thought it couldn't get any better and then Day 2 happened...coming soon!